We LOVE, love pups and great craft beer! Barky Hour is every First Sunday during the Spring & Summer months. Bring your pups to Untapped for social fun, some extra love, and some extra, extra attention! It's All day happy hour for the humans and we will have special treats for your furry friends provided by The Filling Station Pet Supplies. Donations will be accepted for Family Dogs New Life Shelter. who will be untapped's pup of the month?? 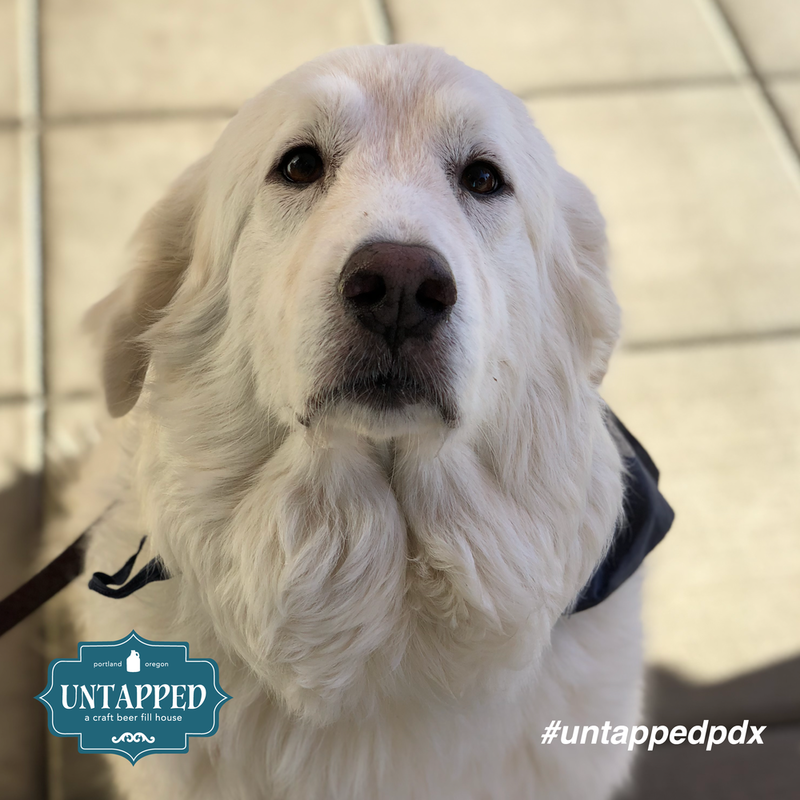 Share you pups picture on Instagram or Facebook with #untappedpdx and your furry friend could be Untapped's next Pup of the Month. Use #untappedpdx and your furry friend could be Untapped's next Pup of the Month. Check back often, more adorable pup photos coming soon.